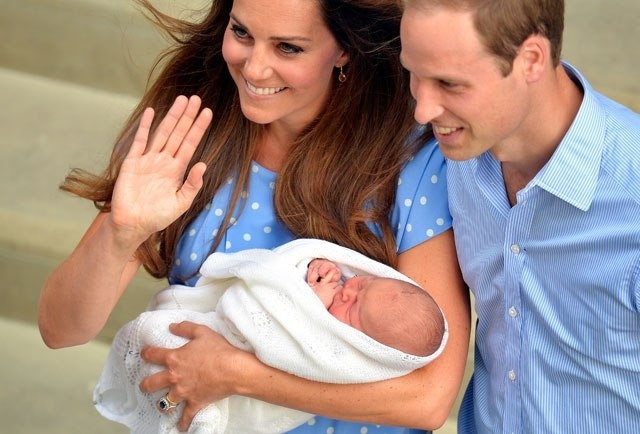 Home > breastfeeding, Celebrities, Royal Baby > The Royal Baby Will Be Breastfed. So What? Despite the fact that Prince George has arrived and we know his gender and name, Royal Baby mania has apparently not subsided in the United States. Up and down Facebook last week, I saw excitement and jubilation over the fact that it has been reported that the Royal Baby will be breastfed. Even though I am a lactivist who breastfed Little Diva for 22 months and is still breastfeeding Super Girl [she is 22 months], I could care less. Part of it is that I just have not been overcome with Royal Baby Mania. But the bigger part is that breastfeeding a newborn, especially in a country other than the US, isn't exactly rare. It's like announcing "The Princess [I realize that isn't her official title. Back down] will not abuse Prince George!" Even in the US, the breastfeeding-at-birth rate is 77%. In the UK, the rate was 81% in 2010 (83% in England, specifically). Basically, the vast majority of babies will be breastfed... initially. You want to impress me? Tell me, when Prince George is six months old—or better yet, a year old—that Kate is still breastfeeding. I mean, she doesn't have a real job, so it's not like she will be boobytrapped like the rest of us. But Kim Kardashian doesn't have a real job, either, and that didn't stop her from embarking on a 1200-calorie/day diet so that she would return to her pre-baby size not even a month after giving birth. You may recall that she, too, announced she would breastfeed her tragically named child (this despite her previously calling breastfeeding "gross"), and I'm sure she did for the first week—until she found out you can't live on 1200 calories a day and produce enough breast milk. She's already cried to the media about not being able to bond with her baby [shocker!]. Brace yourself for the upcoming reports that her milk dried up, and she has no idea why. • Across the UK, at three months, the number of mothers breastfeeding exclusively was 17% (up from 13% in 2005) and at four months, it was 12% (up from 7% in 2005). However, exclusive breastfeeding at six months remains at around 1%. • Rates of ‘any breastfeeding’ showed a rise. At six weeks, the number of women breastfeeding at all was 48% in 2005 and 55% in 2010, while at six months they were 25% in 2005 and 34% in 2010. So while I think it's great that Prince George won't fall into the 17% of British newborns who is denied breast milk from Day One, I'm not the least bit impressed by Kate doing the norm. If she's still going strong in six months, I will celebrate then. But if she Kardashians Out, don't make me say "I told you so."